One of the more complicated methods to follow but quite satisfying. Split the initial circle in two by drawing a line through the origin. Place the compass needle where the line meets the circle and draw an arc. 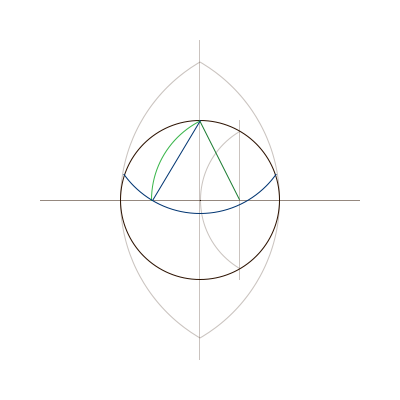 Draw a line between the two points where the arc meets the initial circle. This will bisect the radius. Place the compass needle where the first line (the horizontal line in this figure) meets the initial circle. There are two points, pick one of them. Set the compass radius to the diameter of the initial circle and draw an arc. Repeat this at the other point. You should now have something like the figure below. 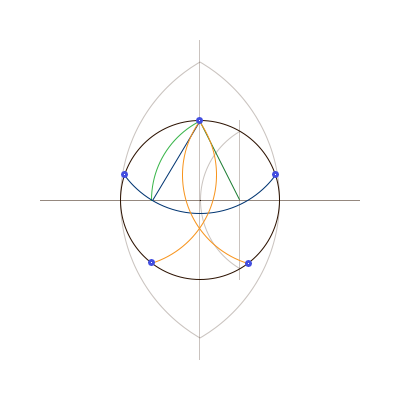 Draw a line between the two intersection points of the arcs. This should split the initial circle into quarters. Place the compass needle at the point where we bisected the radius in Step 4. Set the radius of the compass to the point where our second vertical line, (from Step 6 where we quartered the circle), meets the initial circle. Draw an arc from there until you touch the horizontal line (creating the green arc). Now place the needle at the point we started the green arc. 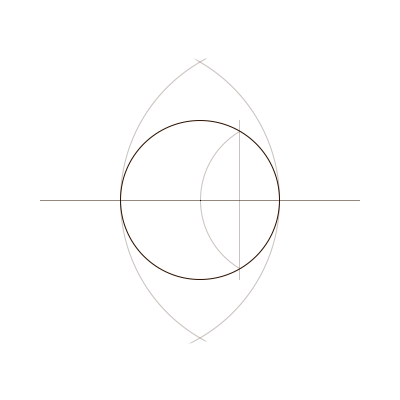 The point where the vertical line, from Step 6, meets the initial circle. 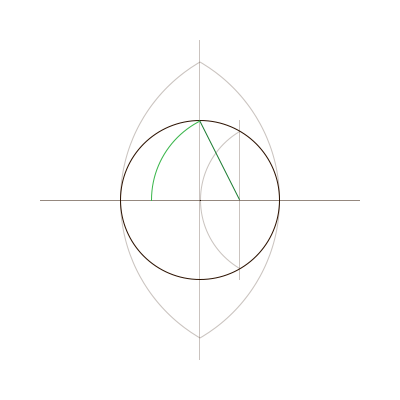 Set the radius to the point where the green arc touches the horizontal line and draw the blue arc. The blue arc creates two points on the initial circle. Keeping the same radius, draw two more arcs from those points. You now have all 5 points of a pentagon!